I’ll be honest, I harbor no illusions about my lack of a future as a longarm quilter, but this book has a so much more to offer. Beyond the pretty pictures lies a treasure trove of information. The Longarm Quilting Workbook is a great reference to help you work with your longarm quilter. While it’s not written for that purpose, learning more about how the longarm machines operate (as opposed to a regular domestic sewing machine) can make the whole process flow more smoothly if you understand the limitations of working on a frame, including the size of the machine and the frame, and the methods of operation (hand guided, computer guided, etc). 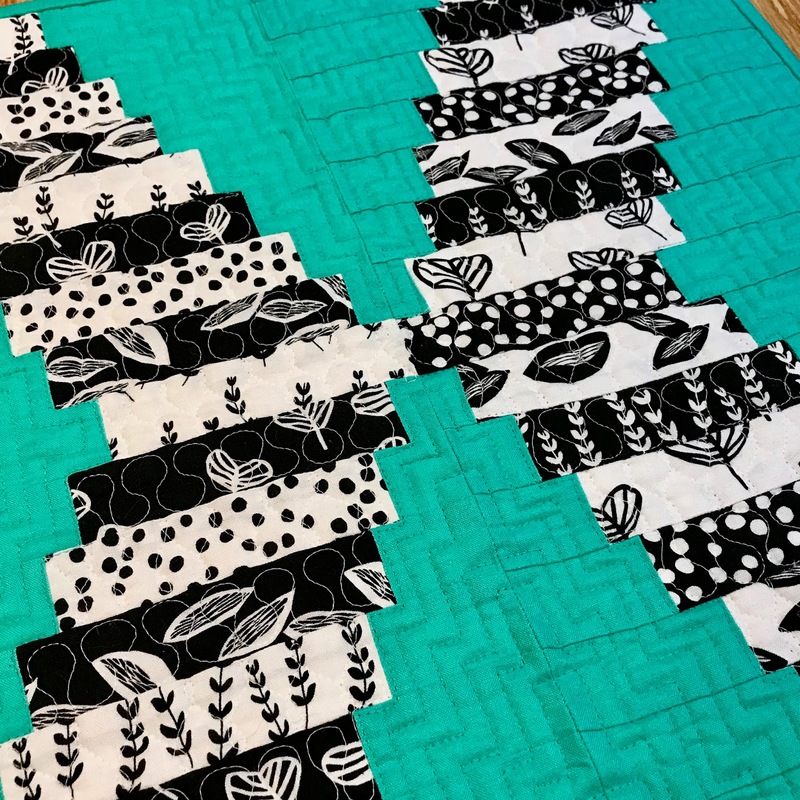 Call it part of my curious nature, but just because I don't want to be a longarm quilter doesn't mean that I don't want to understand how it's done. 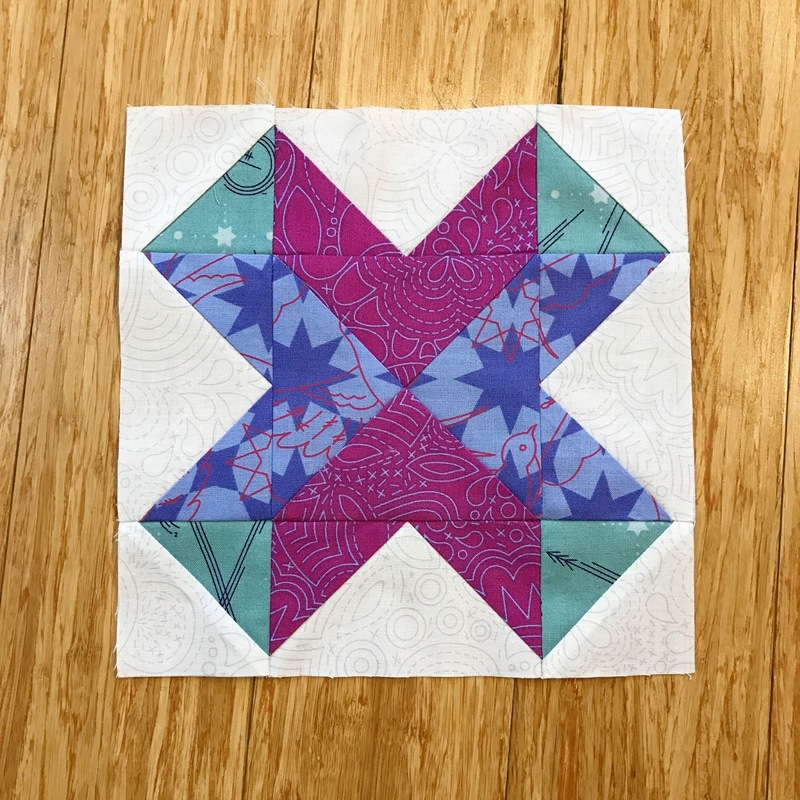 I love how the Longarm Quilting Workbook presents text and illustrations that work together to show how the motifs are created. I've actually watched Teresa quilt in person, but I get mesmerized by the whole thing and forget that I wanted to really watch to see how it's done. 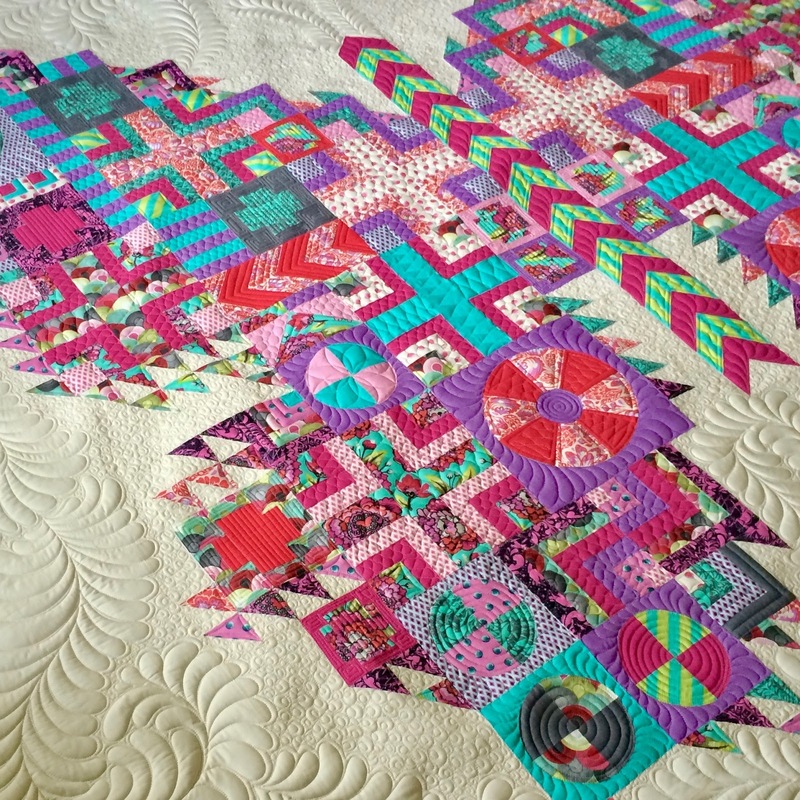 Thank you so much for joining me on the Longarm Quilting Workbook Blog Tour. 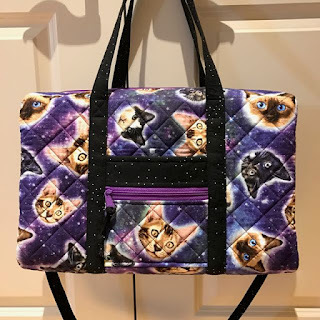 There is much more to come from my fellow participants, including some fun prizes and the grand prize giveaway that you can enter if you comment on the LAST post of the hop as we rejoin Teresa back where we started at http://wwww.quiltingismybliss.com on 10/17/17 (the window to enter will only be open until Friday, 10/20/17 at 4pm Pacific)! 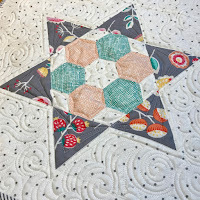 Kristen McVane – Instagram: Stashquilts (Please leave her a comment and come back tomorrow to our blog hop.) 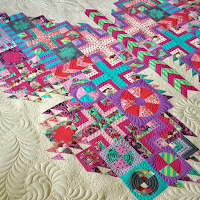 She will be giving away a Longarm Quilting Workbook. Here's my confession for today. I'm incredibly picky about the tools that I use (shocking, I know). I expect them to perform consistently over time, and I try to do my part to keep them in good shape. If the cutter looks strange to you, it's got the blade set for a left handed cutter. One of the tools that I use most frequently is a rotary cutter. The first rotary cutter that I bought when I started sewing was a 45mm Olfa Ergonomic Rotary Cutter (aka Deluxe Handle). I liked it because the blade automatically retracted when you release the handle (there is a button to lock the blade in place, so it can be locked open or closed). As a person that can be a klutz at times, I knew that it would be the safest for me. I have used this cutter or one of its identical siblings (with new blades, of course) almost daily for the last 5 years. I know that I can count on it. This is my go-to cutter, and it's designed so that you can easily switch the blade to the other side for those of us that cut left handed. I will also tell you that I have tried other cutters (other models and other manufacturers), but this is the one that I always come back to. Over the next few years, my collection of cutters has expanded and they are all from Olfa. In addition to my original 45mm Ergo, I've added a 60mm Ergo, a 28mm straight handle, and an 18mm straight handle. The 60mm Ergo is great when I need to cut thicker items, like multiple layers of Soft and Stable or batting. The 28mm and 18mm cutters work well for small cuts and with specialty templates. (I wish those sizes were available in the Ergo design, but sadly, they aren't.) I've purchased additional 45mm Ergo cutters over the years so I would always have one packed in the bag of sewing supplies that I use for classes, and I've bought them to use for cutting paper (the one that has the red x is my paper cutter). I use slightly older blades that aren't as sharp in my paper handle. When they are all too dull or nicked, I keep them in a blade container that is not-so-creatively marked as BAD until they can be safely disposed of in a sharps container. So, when I ran into a couple of ladies from Olfa on the floor at Quilt Market, I had to profess my love for their products (I have multiple Olfa cutting mats too - the rotating and folding mats are my favorites), especially the 45mm Ergo cutter. They have recently released a new product, and they asked me if I would be interested in trying it out since I was already using their other products and share my experience. Without hesitation, I said yes. The new product, the Endurance blade, is supposed to cut twice as long as their regular blade. Wow. That certainly sounded intriguing. They handed me a shiny, new 45mm Ergo cutter that was already equipped with the Endurance blade, and off I went (quite gleefully, I might add). I'll be honest. I haven't had the opportunity to cut as much as I normally would have since my return home from St Louis. My kitty, Tabitha, had knee surgery, so I've been more focused on taking care of her. However, I needed to cut out a few quick projects, so I grabbed my shiny, new cutter and started cutting. I was not prepared for what happened next. I expected it to cut well, but it was even more than that. The Endurance blade is in-freaking-credible. 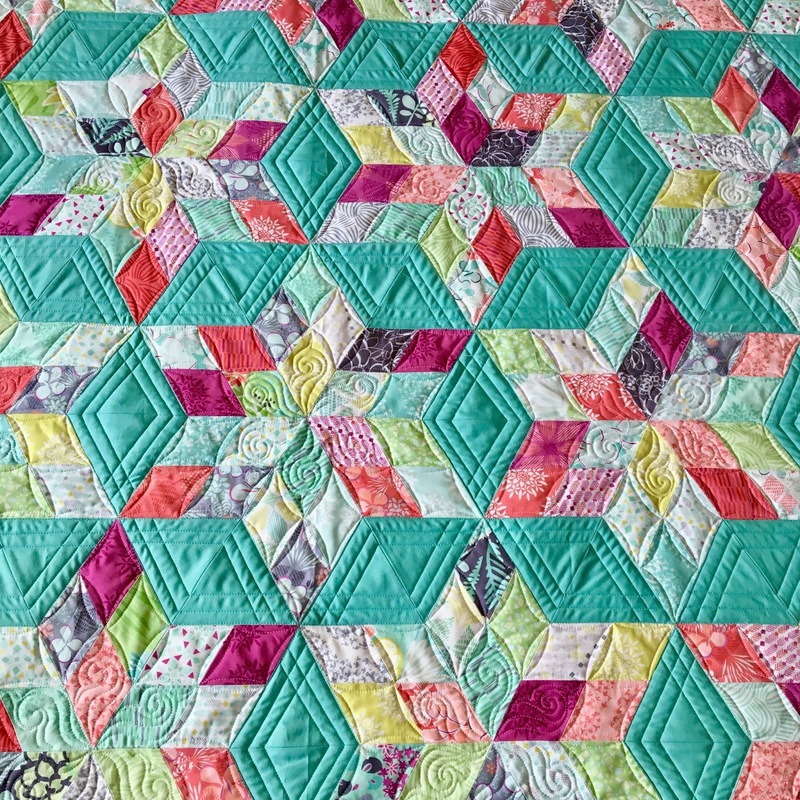 It was like I was just cutting through air rather than multiple layers of quilting cotton. The cuts were so smooth and effortless (and this was on a less-than-new cutting mat) that I actually had my husband try it for himself after he asked me what was wrong (I had just been standing there with my mouth hanging open muttering wow several times). I put a new blade into my regular cutter, so it was a comparison of 2 brand new blades in the same model of handle. I didn't tell him which was which, but he could tell the difference after making a couple of cuts with each blade (and he was pretty impressed). As I mentioned before, I haven't cut a lot of things since coming home, so I can't speak to the cutting for twice as long part yet. Even if it doesn't quite make it to twice as long, I'm still impressed. I'm not going to say that I will immediately get rid of the existing pack of new blades that I have because I won't, but I will be switching over to buying Endurance blades for my future purchases. They are more expensive than the regular blades, but they are simply just that good. As I said in the post, I was actually given this new cutter with the Endurance blade and asked if I would share my experience. For anybody that has met and talked to me, I will not hesitate to say that I'm not a fan of something (and I will tell you why). This is my blog. These are my opinions. They may change over time, but they will always remain mine. I am not willing to sacrifice my integrity in exchange for talking about stuff that I don't truly like. That's not who I am. I have a little bit of a love/hate relationship with multi-size patterns. I LOVE that I get several size options (usually 2 or 3) within a single pattern, but they aren't the most fun to read especially when you are dealing with multiple sizes or measurements. To make things easier on myself, I took a back to school approach and grabbed some highlighters. Normally, I don't like to mark on my patterns unless there is an error or change that I know I want to make as a more "permanent" adjustment (something that I would want to do every time I make the pattern). Before I even begin to make anything for the pattern, I will read through the pattern and mark each multi-size measurement in a different color (I usually mark all of one size at a time). In the case of the example that I show here, The Write Stuff from Patterns by Annie, I marked all references to the small in yellow, references to the medium in pink, and references to the large in orange. In patterns where there are 2 sizes, I will usually mark only one. The same thing is true for when I'm making a pattern where I know that I want to make a certain size. I don't necessarily mark all of them. In the cutting instructions, I simply marked the header of the column for each size with the appropriate color. 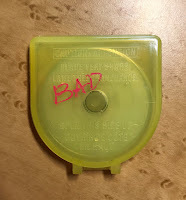 Using the highlighter gives your eye a visual cue of where to look, and in my opinion, helps you to minimize mistakes caused from mis-reading the line. 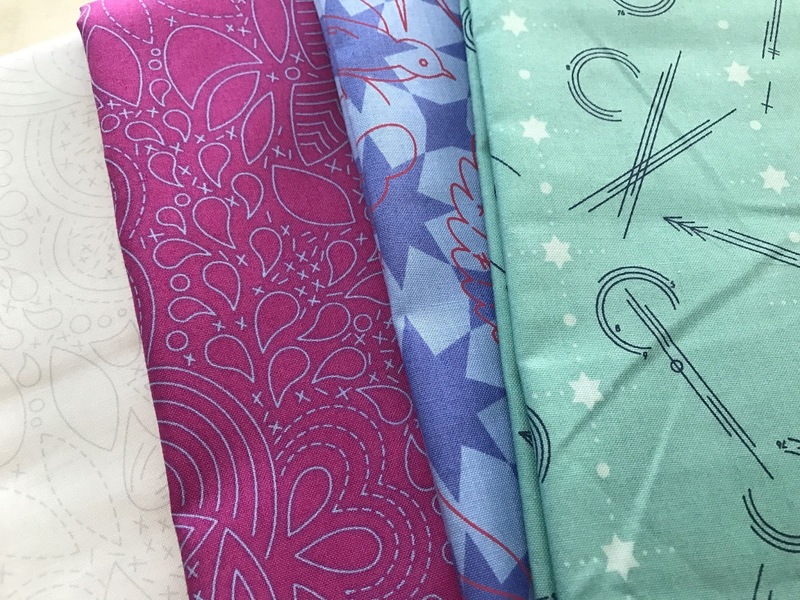 Just take your time when you mark the pattern, and don't forget which size you're making! So, that's that! Now, go forth and mark! I'll admit to not being the most consistent blog updater, but this year has already been a whirlwind and not in the best way. 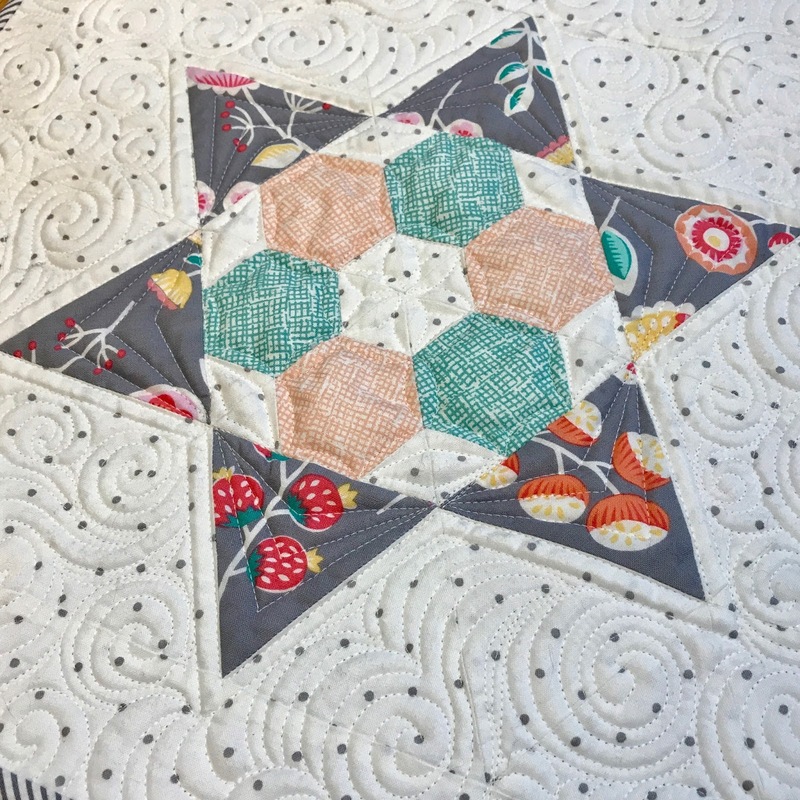 I thought I'd pop in and give you a quick recap of some of my highlights from Spring Quilt Market 2017. With all of that said, there were some highs and lows as expected. I made some awesome new friends, and I had a chance to reconnect with some others. The countdown is already on to Fall Quilt Market in Houston (157 days until Schoolhouse - eek!). I'll be back to work tomorrow after a self-imposed 2 day break to decompress. 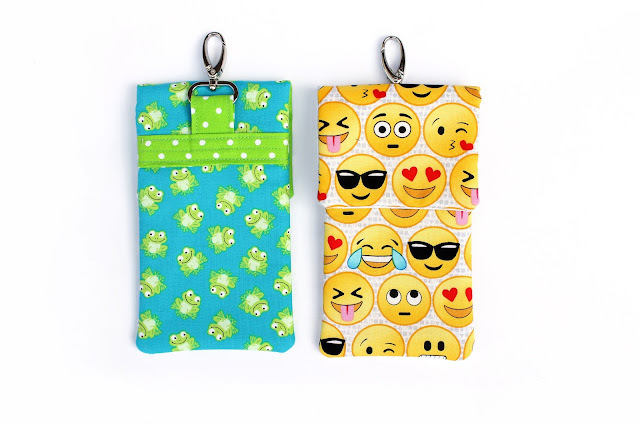 When I heard that my friends at Timeless Treasures were looking for a cute way to hold a phone (or other goodies) and would work well with some smaller print fabrics, a tutorial was born! 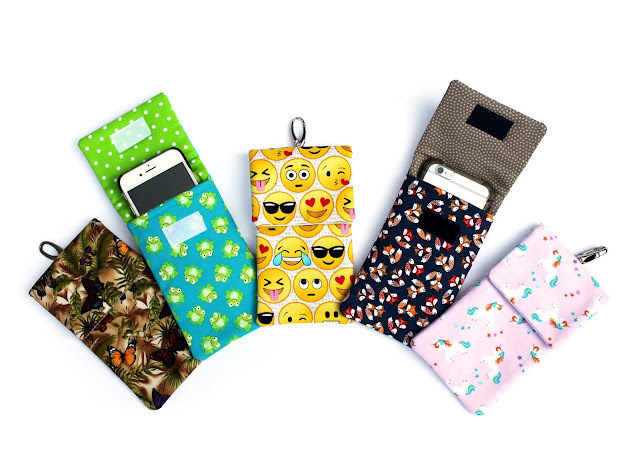 This pouch is sized to hold an iPhone 7 Plus without a case, an iPhone 6 or 7 in a case, or pencils/pens. With the swivel hook, you can quickly clip this to a lanyard, on your bag or backpack, or on a belt loop for quick access. On the 10 ½” x 4 ½” Pouch Back (main fabric), mark a line 5” up from the bottom edge. Tip: If you are using a fabric that is directional like the one I used for the main fabric, rotate the fabric 180 degrees before you mark your line so that it is facing the correct direction when you view the finished pouch from the front. On the 6 ½” x 4 ½” Pouch Front (main fabric), mark a line 1 ⅛” down from the top edge. On the 10 ½” x 4 ½” Pouch Back (lining fabric), mark a line ¾” down from the top edge. Fold the 3” x 4” Hardware Tab piece (lining fabric) wrong sides together so it measures 3” x 2”. Press. Open the piece and fold the raw edges toward the center. Press. Re-fold on the original pressed edge to create a piece that measures 3” x 1”. 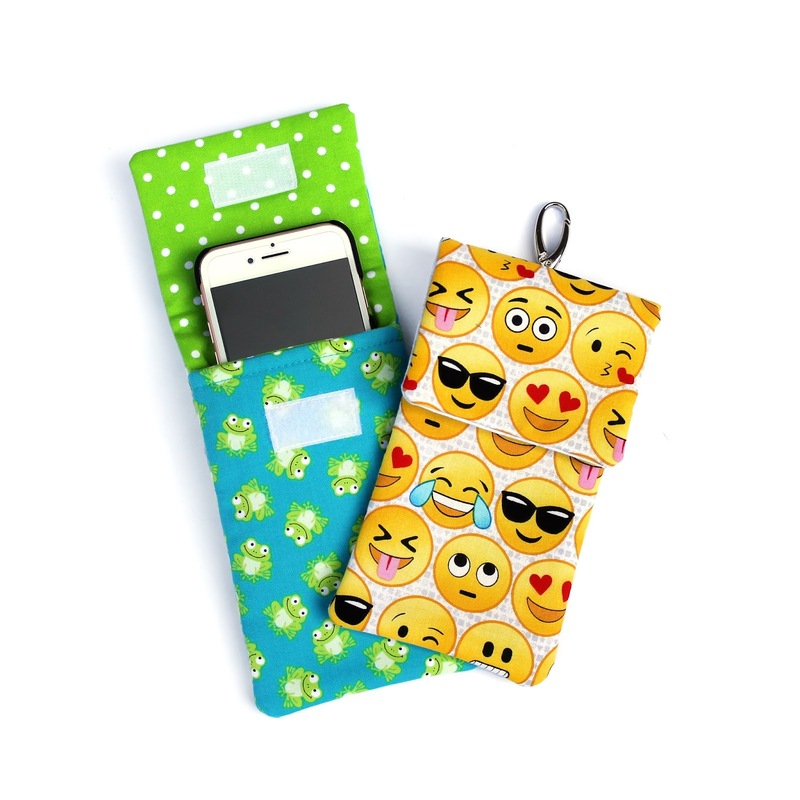 In a similar manner, fold and press the 3” x 4 ½” Back Strap piece (lining fabric) so it finishes at ¾” x 4 ½”. Topstitch ⅛” from the folded edges on both pieces. Insert the 3” x 1” tab into the bottom of the swivel hook. Fold in half so the raw edges are aligned and baste the ends together approximately ⅛” from the bottom. Center the prepared swivel hook unit approximately ⅛” above the line marked 5” up from the bottom on the 10 ½” x 4 ½” Pouch Back (main fabric). Sew just above the basting stitches to hold it in place. Align the bottom edge of the ¾” x 4 ½” Back Strap piece above the line marked 5” up from the bottom. Following the existing lines of topstitching, sew the Back Strap to the 10 ½” x 4 ½” Pouch Front (main fabric) ⅛” from both edges. 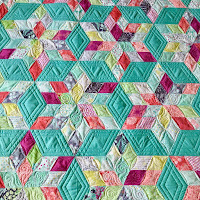 Sew one more line ¼” away from the topstitching (this line will be centered on the piece). Set aside. Center the loop (soft) side of the 1 ½” hook-and-loop tape piece below the line marked 1 ⅛” from the top edge of the 6 ½” x 4 ½” Pouch Front (main fabric) piece. Sew around the perimeter of the piece twice to secure. Set aside. Center the hook (scratchy) side of the 1 ½” hook-and-loop tape piece below the line marked ¾” from the top edge of the Pouch Back Lining (lining fabric). Sew around the perimeter of the piece twice to secure. Set aside. With the right sides together, match the top 4 ½” edges of the Pouch Front pieces (the hook-and-loop tape should be at the top). 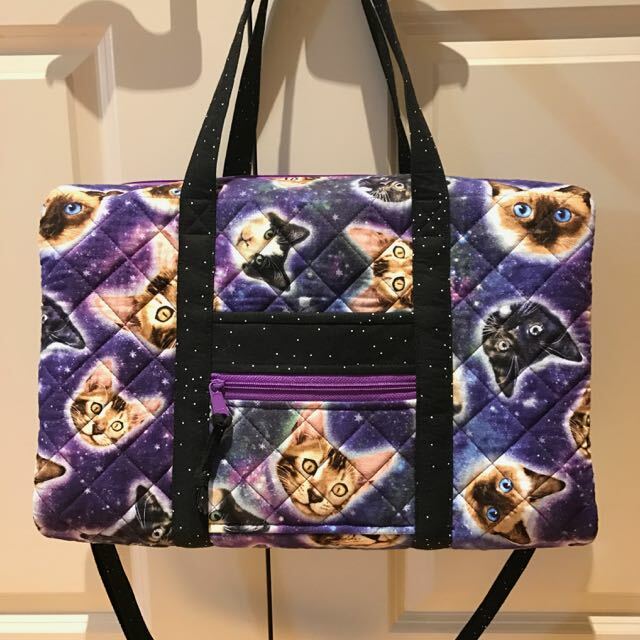 Sew pieces together with a ¼” seam allowance. Press seam open and with the wrong sides together match the bottom raw 4 ½” raw edges. Press seam and topstitch ¼” away from the edge. With the Pouch Back Lining right side up on your table (the hook-and-loop tape should be at the top), place the Pouch Front (main fabric side up) on top of the Pouch Back Lining aligning the raw edges on the bottom and sides. Baste the Pouch Front in place ⅛” from the edge. This will make it easier when you are turning the pouch out in a later step. Place the Pouch Back right side down on top of the unit that was finished in the previous step (the swivel hook should be facing the top edge and the right sides of will be together). 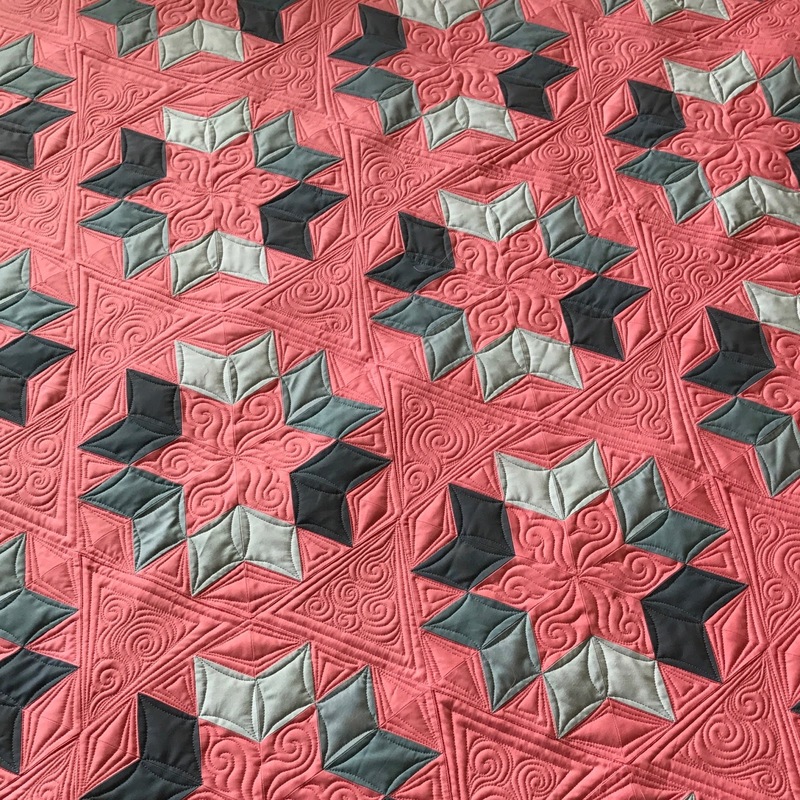 Leaving a 2 ½” opening that will be used for turning, sew along all 4 edges with a ¼” seam allowance pivoting at the corners and back stitching at the beginning/end. Trim the 4 corners of the pouch being careful not to cut your stitching. Turn the pouch right side out through the opening. Carefully poke out the corners using That Purple Thang or a chopstick. Rock the edges of the seam back and forth with your fingers to make sure that the fabric layers are flat and press the seams. Fold the raw edges (from the gap you left open to turn the pouch) into the bag aligning folded edges and press. Slipstitch the opening closed by hand or by machine stitching close to the edge to complete the project. You have now finished your pouch! Congrats! If you are thinking about making a duffle bag, I highly recommend the Travel Duffle or the Get Out of Town Duffle by Patterns by Annie. I've made both of them, so I figured that I should share a few things that I've learned. Until I took a few pictures of them together last night, I don't think I ever got how significant the size difference is between the two bags. 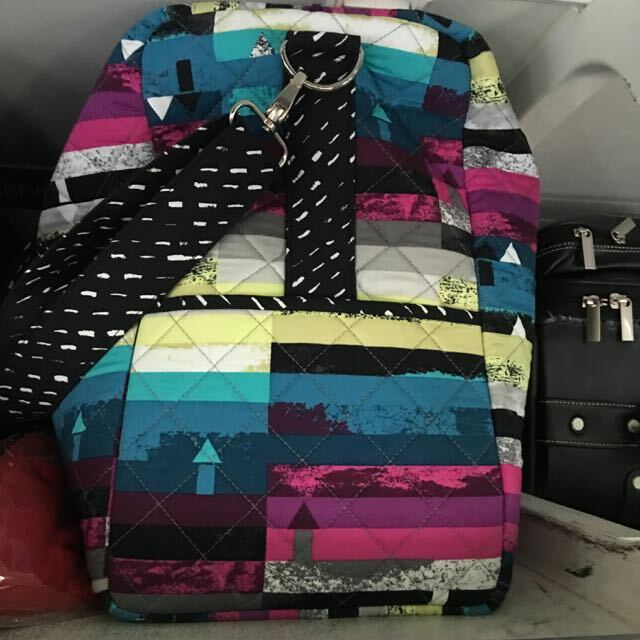 According to ByAnnie.com, the Travel Duffle measures 21" x 13" x 8" while the Get Out of Town Duffle measures 16" x 10" x 7". I'm pretty good with visualizing dimensions, but I still wasn't quite prepared for what I saw in the pic. Pretty big difference, isn't it? I've used the Travel Duffle on 3 airline trips in the 11 months since I finished it - a larger Bombardier regional jet, an Airbus A320 and a Boeing 737. On all of those trips, I had no problem placing my bag in the overhead bin. If I had really overstuffed the bag, it might have been a little iffy on the regional jet. I love this size because it can hold a lot of stuff, and it's a piece of cake to remove the bottom stabilizer (I have a piece of acrylic in the base) so it can be folded down and packed into another suitcase. As a side note, the Pfaff Passport 3.0 sewing machine fits great in the Travel Duffle. LOL. The Get Out of Town Duffle is a great size that would be perfect for a weekend getaway or to be stored under the seat in front of you on a plane as a smallish bag. 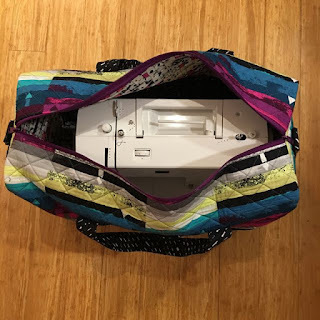 Like the Travel Duffle, it also has a removable stabilizer base so that it can be folded down (or be carried as a more slouchy bag). Both bags use ByAnnie's Soft and Stable to provide structure and support without adding a lot of weight. 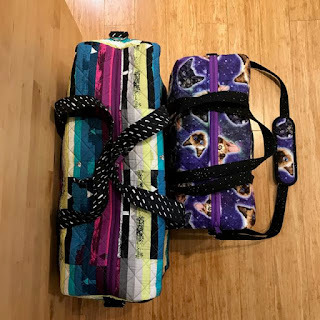 They also both have slip interior pockets, 4 slip exterior pockets, and zippered exterior pockets (1 on Get Out of Town and 2 on Travel Duffle). In addition, both bags have adjustable shoulder straps that are detachable. 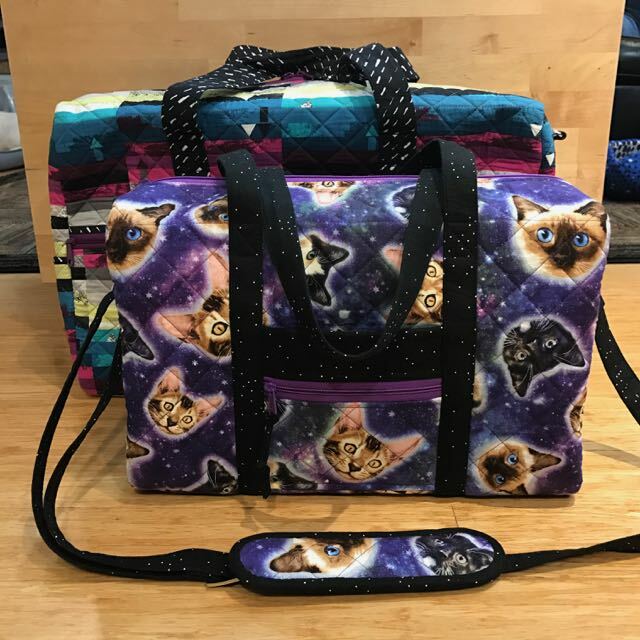 I really love both of my bags, and I'm glad that I made both sizes. There's been so much anxiety and stress over world events in the last year, and that seems to have spread out across social media in the form of negativity. On a personal front, I'm still reeling from losing both of my beloved feline children (one in August 2015 and the other in June 2016), my father in December 2016, and my father-in-law 10 days after losing my Dad. So, I'm trying to do my part to spread love and positivity by introducing you to the Love All Around Block by May Chappell (aka Lee Monroe.) I was thrilled when she asked if I would like to participate. I'm a long-time fan of her stuff (and she's pretty awesome too), so I jumped at the chance. Here's where you can find the tutorial - Love All Around Tutorial. I think that Lee's instructions in the tutorial are easy to follow, and she provides excellent tips. If you haven't had the chance to try one of her patterns, this is a great way to get a feel for her style of pattern writing. 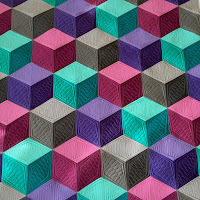 The block works very well for a variety of fabric styles, color palettes, or designers. As for mine, I opted to use some beautiful fabrics from the Seventy Six collection by Alison Glass for Andover Fabrics] that I found at Circa 15 Fabric Studio. 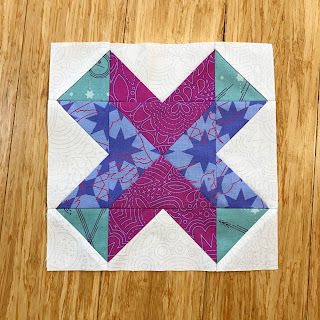 The 8" block (finished size) goes together quickly, and it's a great block to use for practicing your piecing accuracy (if you are into that type of stuff.) Most importantly, in my opinion, it's a fun block to make. Voila! One block down and an undetermined amount to go! Now I need to figure out what I want to do with the block. I know that I want to incorporate it into a larger project, but I'm still not sure as to what. 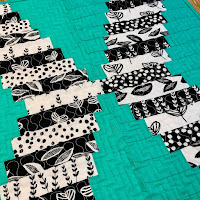 I could easily see this block used in a table runner, a bag/pouch, placemats, pillows, or as a quilt. Once I figure out the plan, I'll post an update! For now, go check out the Love All Around Tutorial on maychappell.com!